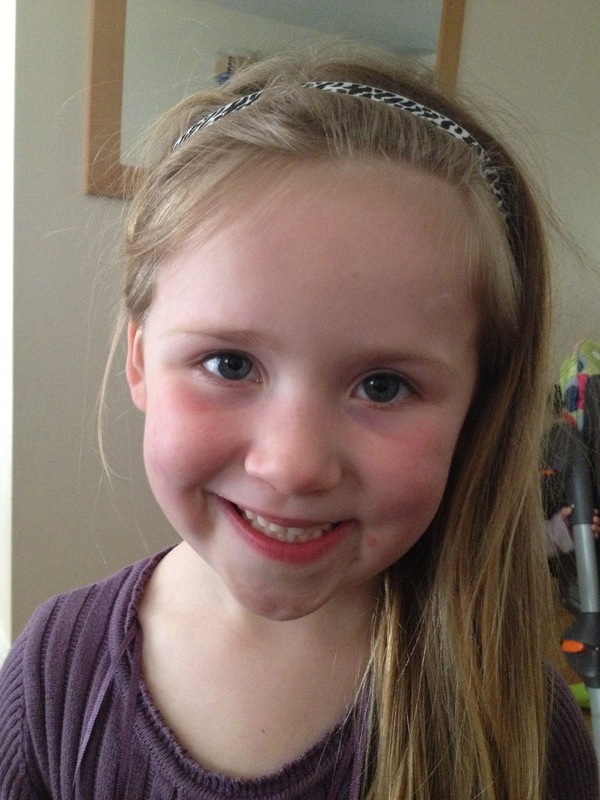 As many of you will know from reading my blog, I am very lucky to have four daughters. Now at the moment only three of my four daughters have lovely full heads of hair, which I have to put up on a daily basis for school/playschool. 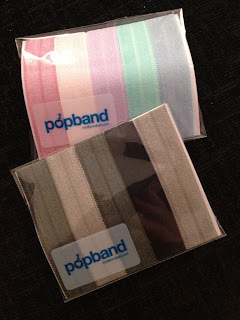 So I was very lucky when I received some of the newly launched popbands in the post. Popbands are hairbands that are very stretchy and soft, they promise to not rip your hair and to leave no kinks/dents when you take them out. So of course I wanted to see whether they really did work as I am forever untangling hair from hair bands and having to re wash hair because my girls have been left with a nice line where they have had their hair up all day!! I received two different types of popband, the individual one, that comes with a crystal looking bead on it and a twin pack that includes a normal size popband and a larger one to wear like an alice band. Each pack comes with a card which shows you what to do with the popband, and as you can see, there is more than one way to wear your popband. 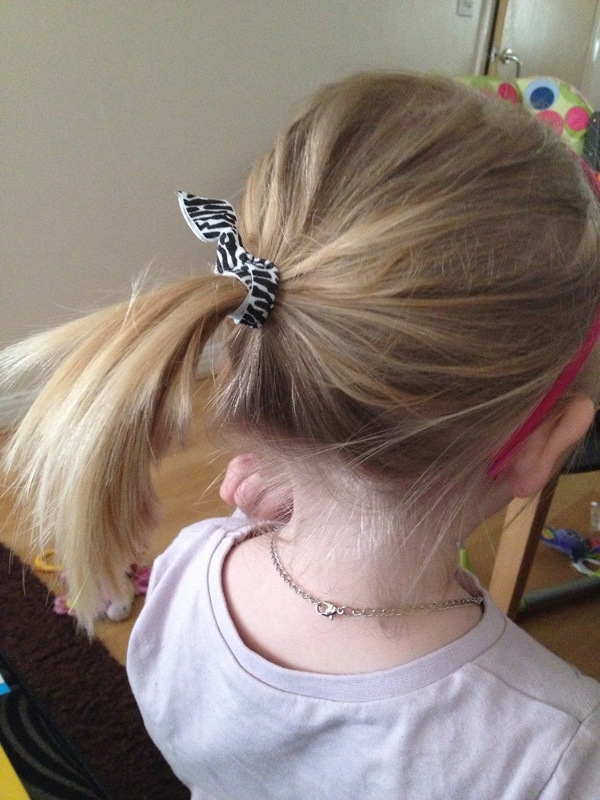 My 3 year old was the first to try out her new popband, mummy came in handy and put her hair up in a nice pony tail. The popband was very easy to use, there was a good amount of stretch to it and because the material is so soft, it didn't cut into my fingers as I twisted it around. She kept the pony tail in for approximately 5 hours and I am happy to report that when the popband was removed, there were no kinks in her hair and there was no hair pulled out or wrapped around the removed popband, success!!! My 5 year old chose to test out the larger popband, she was able to pop it over her head and onto her hair herself. This hairband is a one size fits all, so would stretch to fit each child's head, it even fit my head and let me tell you my head isn't exactly small (all the brains in there I think!!). Even though the material is soft, it didn't slide around her head, it stayed in place nicely, no need to keep redoing it. Now there is one other way to use the popband, which my 7 year old demonstrates in the photo below. 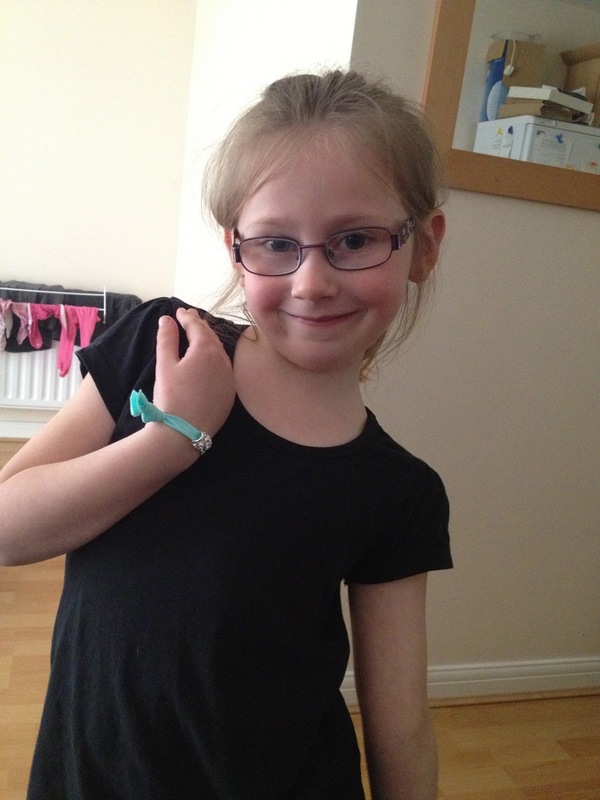 It really does make a stylish bracelet, especially with the jewelled bead on there!! And with so many colours to choose from, you could have a different one for each day of the week. And again because of how soft and stretchy there are, there is no danger of it cutting into your child's wrists. I always have a hairband on my wrist, you know incase of hair pulling happening, I'm sure many of you mums out there with small babies know what I'm talking about. So having a popband on my wrist looks a lot better than an older elastic covered in hair!! You can find Popband on both facebook and twitter to keep up to date with all the latest news and offers. Why not go and say hello!! These look great, might have to give them a try! ohhh they look really good might have to buy some for my charges birthday coming up her hair is always tangled with the normal hairbands! !